I’ve just finished reading In the Neighborhood of True and I’m still trying to decide how I feel about it. In the Neighborhood of True tells the tale of a young girl caught fighting an internal battle. After losing her father only a few months ago, Ruth’s life is further upended when her mother decides to move her and her younger sister to her mum’s hometown in Atlanta. Thrown into the controversial South where white supremacists’ hate crimes and the society’s blatant prejudice is considered acceptable behavior, Ruth must decide whether she wants to continue pretending to be a part of the prestigious side of her new society or risk exclusion from her new posse by exposing her Jewish background. When an atrocious incident occurs, Ruth can no longer sit on the fence and is forced to make the hardest decision of her life. To be honest, ever since I started reading this novel, I’ve had mixed feelings about Ruth and her family. It’s set in the ‘50s. when being prejudice against a person because of their race, religion or social standing was not unusual. I couldn’t understand why Ruth’s mother, who knew how certain parts of the South in America at that time feel about people who don’t fit the status quo, could uproot her family to resettle in her Southern hometown. I can’t begin to imagine what it feels like to lose a partner and it’s understandable that her mum would want to remove herself from everything that reminded her of Ruth’s father. Still, moving your children into an area where violent gangs like the Klu Klux Klan exist seems inane. The story tries to explain the logic behind her actions when Ruth’s mum takes her to a known hill the KKK uses for cross burnings, while a wedding is taking place at the foot of the hill to show her that good things and bad things exist in the world. It’s a ballsy way to teach your kids about the world but I still can’t agree with it. Outside of questionable parenting methods, the rest of the story was amazingly written, and I enjoyed reading about Ruth’s attempts to fit in although the urge to reveal her Jewish heritage nagged at her every time she lied about simple things. There were parts of the story where I got upset with Ruth for pretending to be an advocate for her community’s rights when she paraded around town as otherwise. It was satisfying to read about her finally coming clean and declaring who she really is, but it felt like not enough pages were dedicated to her “coming of age” moment. The most interesting character to read about was Sara, Ruth’s older sister. Instead of moving back with her family to the South, she remains in New York at her university. When she decides to visit her family, she is unapologetically herself, dressing in black and openly practising Judaism. As much as Ruth admires Sara, her fear of not being accepted, especially by Davis Jefferson, the hottest boy in her school, keeps her from being herself, until a hate crime takes place that emboldens her to stand up for her religion and encourages her to finally be who she is. As much as I was eager for the protagonist to move past her fickleness, I enjoyed reading about what growing up as a young Jewish girl in the ‘50s was like. 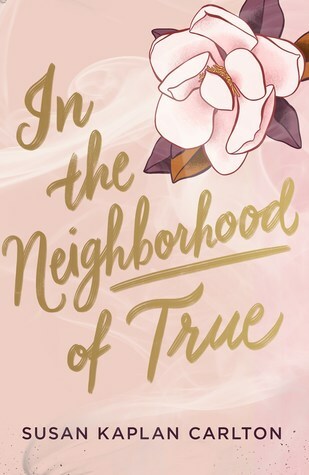 If you’re looking for an insightful read before you attempt to tackle your summer reading list, I suggest picking up a copy of In the Neighborhood of True. Previous ArticleAlbum Review: Juice WRLD - "Death Race For Love"